Cutting-edge automated vehicle technology from the German automotive systems developer Bosch will be tested on rural routes in Victoria this year as part of the first on-road trial approved under the Australian state’s new Automated Driving System (ADS) permit scheme. Victoria’s Acting Premier, Jacinta Allan, announced that Bosch has been awarded US$1.6m (A$2.3m) from the Connected and Automated Vehicle (CAV) Trial Grants Program and granted the state’s first ADS permit for on-road testing of highly automated driving systems. Last year, Victoria finalized regulations to support the ADS permit scheme, which authorizes the use of automated vehicles for testing and development on public roads. Bosch is currently developing its automated vehicle technology and will begin testing on high-speed rural roads later in 2019. The aim of the Bosch trial is to use the state-of-the-art technology to improve safety on rural Victorian roads, where drivers are five times as likely to be killed in a crash than in metropolitan or urban areas. The US$6.4m (A$9m) Connected and Automated Vehicle Trial Grants Program is funded through the Victoria government’s US$999m (A$1.4bn) ‘Towards Zero Action Plan’. In late 2017, VicRoads called for expressions of interest from companies, industry bodies and other transport technology organizations to apply for funding to spur the development of these emerging technologies, which the highways agency hopes will lead to reduced deaths and serious injuries. VicRoads says other successful applicants will be announced soon. The trials will support Victoria’s readiness for CAV technologies and the knowledge gained will provide a better understanding of the infrastructure required to get these vehicles on the road, maximizing their safety benefits. Bosch’s testing program will be conducted on roads that expose the automated vehicles to a range of different conditions including traffic, weather and infrastructure. 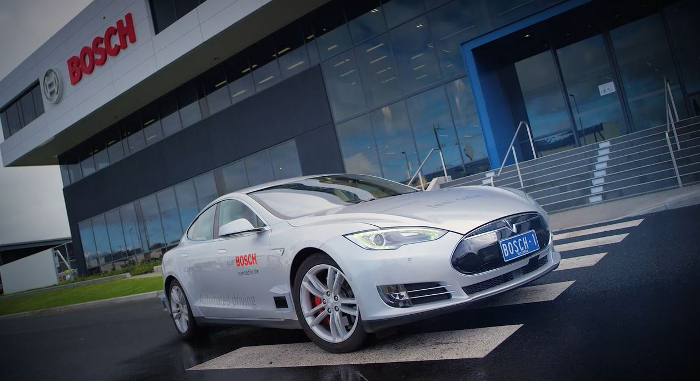 In October 2016, the Victoria government announced a partnership with Bosch, the Transport Accident Commission and VicRoads to build the first vehicle developed in Australia with self-driving capabilities. The government’s investment has helped Bosch develop the self-driving vehicle at its Australian headquarters in the Melbourne suburb of Clayton. 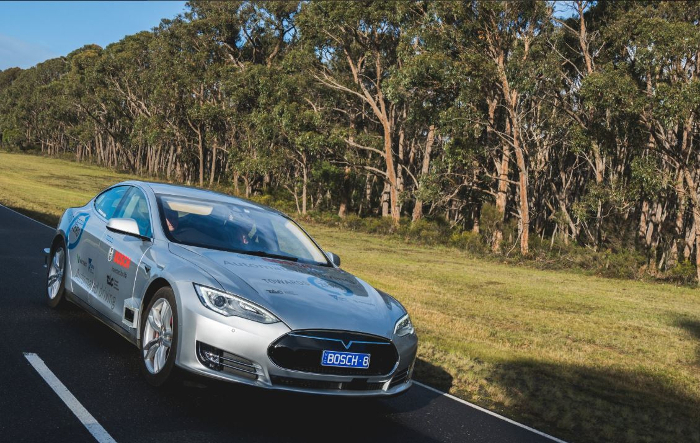 The trials of the new vehicle will be used to inform the development of regulations and infrastructure to enable similar self-driving cars to operate on Victorian roads when they become commercially available in the future. The trial will also help VicRoads better understand how motorists use self-driving vehicles and the changes needed to prepare for the future.